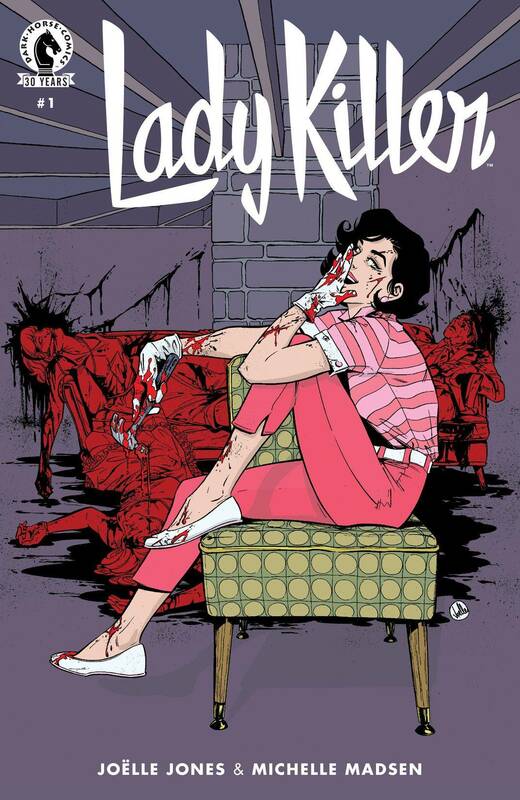 My only complaint about Lady Killer, Vol. 1 was that it came to an end, so you can imagine my excitement now that it’s returned. It’s set in the ‘50s with a housewife who’s secretly an assassin and has fantastic art–with brilliant choices like splatterings of black ink instead of red for blood. This part 2 of the series has Josie and her family in a new home and a bit of a new direction for Josie in the work department that looks like it will be loads of gory fun. It’s so awesome that it made me want to watch Serial Mom as soon as I finished. Lana Lang and Lois Lane, formerly token love interests for the Man of Steel, are teaming up to fight crime and save lives. Even though they don’t like each other, Lois sees that they make a good team. 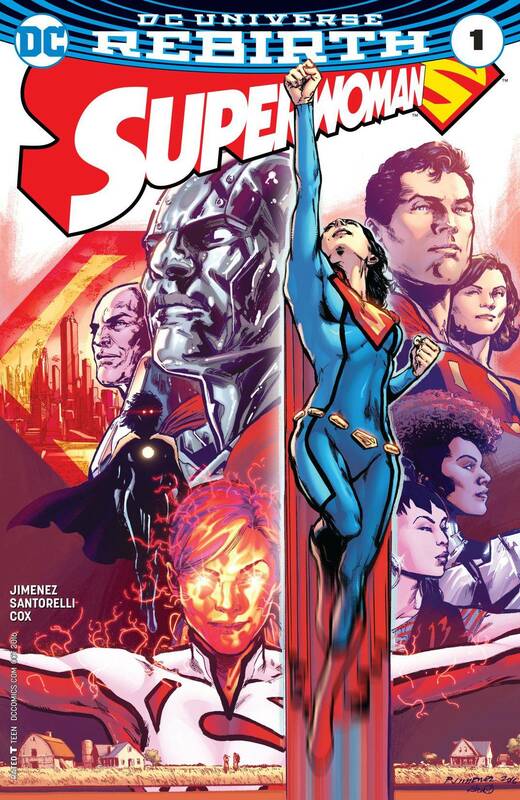 She wants Lana to embrace her newly-found Kryptonian powers and use them for good, while encountering a weird Bizarro creature in Luthor’s labs. 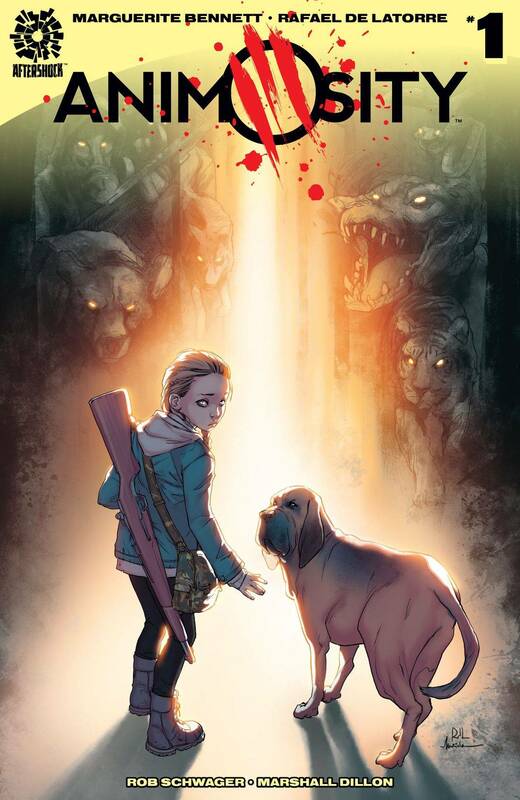 I adore Bennett’s previous work, and when I saw the cover of the first issue of Animosity, I knew I had to read more – without ever reading what the description was about. Turns out that it’s about animals spontaneously coming “to life” – able to speak, understand, think, fight just like humans can. They’re here. They want revenge. And it’s brilliant. I absolutely loved it and can’t wait to see where the rest of the series goes. Gertrude is a young girl who wants to visit a magical fairyland. Unfortunately for her, she gets her wish. Fairyland is not what she expected, so the queen tells her she can go home. All she has to do is follow the map and find the key to unlock the door back to her land. It should be about a day’s journey. Piece of cake. Fast forward to today: Gertrude is STILL stuck in Fairyland, looking for the key to unlock the door, except now she’s a thirty-seven-year old woman trapped in the body of a little girl. And she’s REALLY angry about it. So she wreaks havoc wherever she goes, drinking, maiming, and murdering her way through Fairyland. It’s wildly violent and bloody. And it’s awesome. 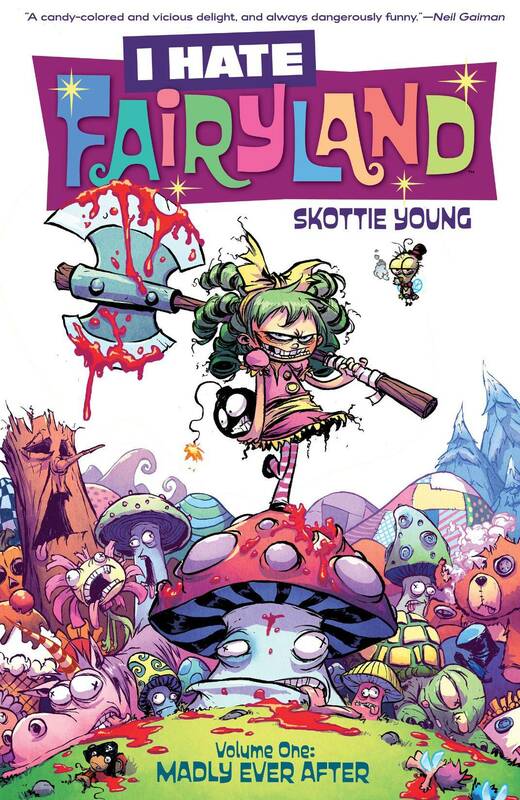 This comic is Happy Tree Friends meets Alice in Wonderland, if Alice was played by Baby Herman from Who Framed Roger Rabbit? It is everything I wanted it to be! 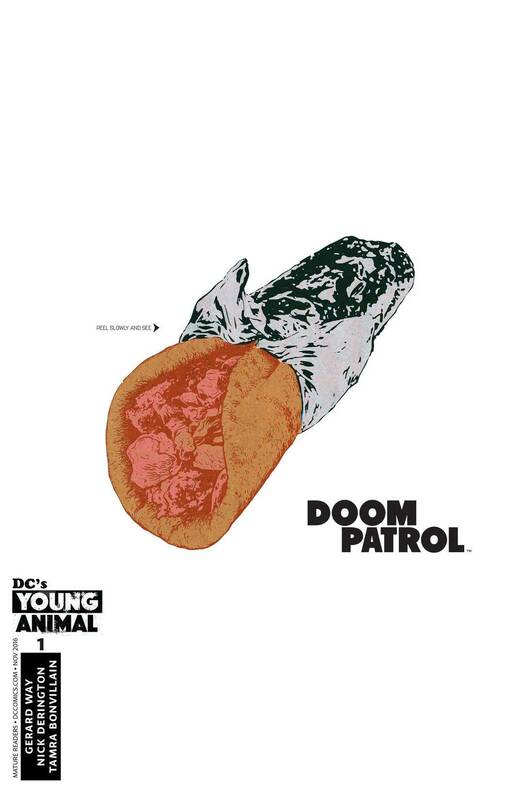 This comic represents a few new beginnings: the first comic out the gate for new DC imprint Young Animal, Gerard Way’s debut writing a pre-existing franchise series, and a fresh take on one of the weirdest teams out there. This issue starts with a bang, with musings on miniature levels of existence, non-sequiturs in the form of fly noises, a destructive birthday song and dance, and dramatic gestures presented in media res for future issues to flesh out. Will this arc stick the landing? Will the art by Derington and Bonvillain maintain its fresh, giddy style? I don’t know, but my favorite thing about issue #1 is that nobody knows what’ll happen next, and Doom Patrol works best when it’s unpredictable. A gyro can contain another world; so does this comic. 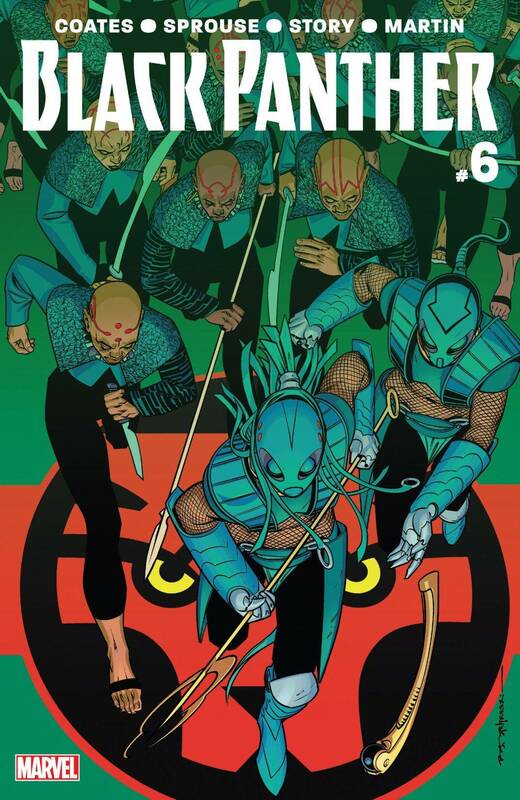 If I were on the fence about Coates’ take on Black Panther, Shuri, and Wakanda, this issue would soundly kick me off. I’ve seen criticism of Coates’ run on this book as being disrespectful of the character, of being boring, of taking what makes Panther great and ripping it away from him. I can’t agree with that criticism. We’ve been seeing a new take on T’challa and Wakanda, a take that subverts the expectations of fans of the character and the setting while giving us a bird’s eye view of the political conversation of the moment. Coates is subverting what we’ve been told about the characters and Wakanda so far in order to reimagine and rebuild them in a way that respects their power and challenges their character. I dig this a lot, and in this issue, we get what is the ultimate expression of this–with T’challa making a dark moral sacrifice for Wakanda and Shuri reaching a pivotal place in her journey of re-creation. This is, I think, the apex of the story that Coates is trying to tell. We have been privileged so far to watch a master at work. I’m a huge fan of Silk, in no small part because of how well the book deals with depression and anxiety. 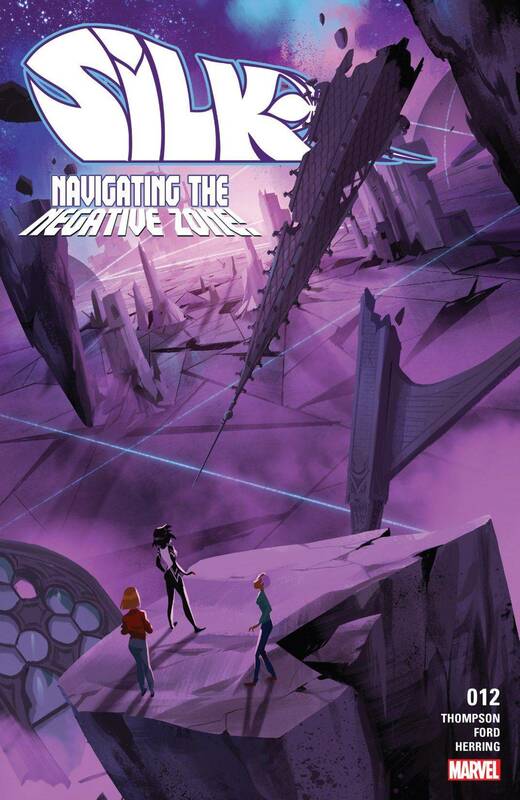 But issue #12 took it to the next level, as Cindy Moon and pals Lola and Rafferty head to the Negative Zone to search for Cindy’s long lost family. Tana Ford and Ian Herring bring us a novel vision of the Negative Zone that is more fantasy than space opera, complete with dragons, knights, a medieval castle, and did I mention dragons? Meanwhile, Robbie Thompson brings the humor and feels we’ve come to expect from Silk. I can’t wait to read issue #13. Some of my fellow Rioters gushed about this book, and now I see why. 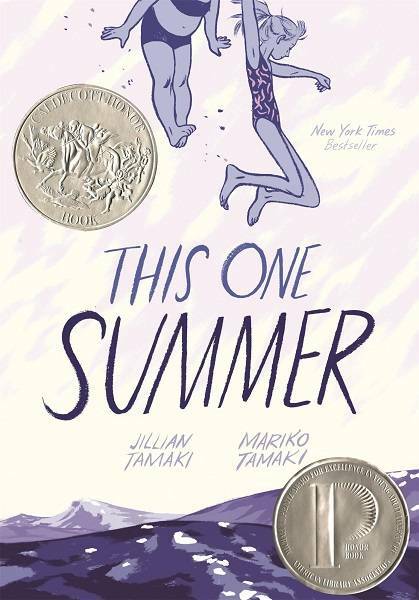 Out of nothing but blue, Jillian Tamaki conjures a vivid beachside town, the two preteen girls who spend every summer there, and the understated struggles of tourists and locals alike. 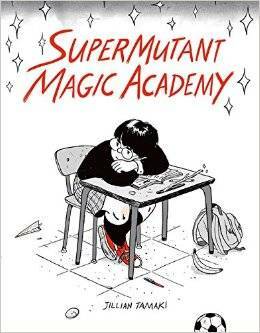 Mariko Tamaki’s writing is a stark depiction of internalized misogyny and how those of us raised as women absorb it heartbreakingly young. Disaffected teenagers with superpowers at a boarding school. This started as a webcomic, and although I think it works a little better in that format–this comics are disconnected enough that it’s jarring to read a lot in one sitting–I can’t help but love Tamaki’s humor and style. Frances, the guerilla artist, was my favourite, but despite the cast that all gets a turn at the spotlight, this is clearly Marsha’s story. Marsha is closeted and in love with her best friend. It’s equally amusing and heartbreaking to see her criticizing her crush for being too kind and naive when clearly those are the traits that made Marsha fall for her. This wasn’t as coherent as I was hoping for from the graphic novel version, but it’s still a favourite. Jeff Lemire is one of my favourite graphic novel creators. If you haven’t read Sweet Tooth yet I cannot recommend it enough. 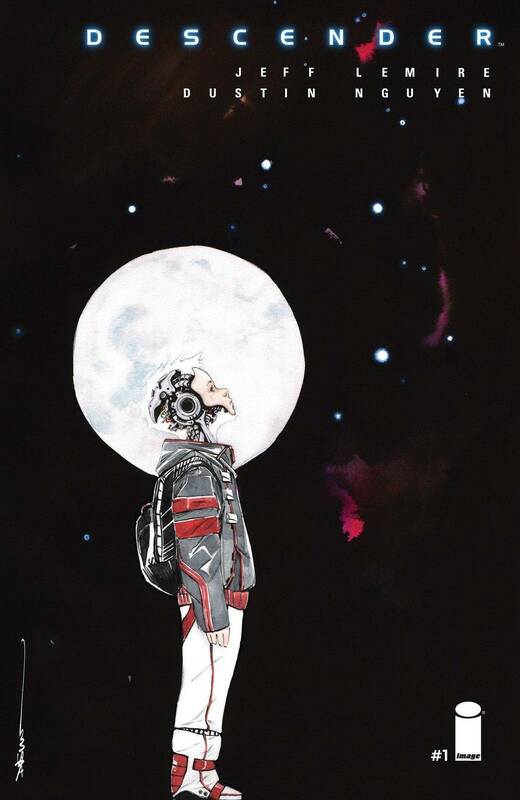 Descender has rapidly become one of the best I’ve read in a long time. It takes place in a universe where robots are outlawed after a ginormous, Spaceballs-esque creature came and destroyed half the galaxy. Tim-21, long thought destroyed, is discovered still beeping on a distant mining planet with his pet robot dog. Realizing that Tim might hold the answer to the fate of the entire universe, a desperate chase ensues to capture him. Graphic journalism is one of my favorite uses of the comics medium, and Sarah Glidden uses it to great effect in Rolling Blackouts. 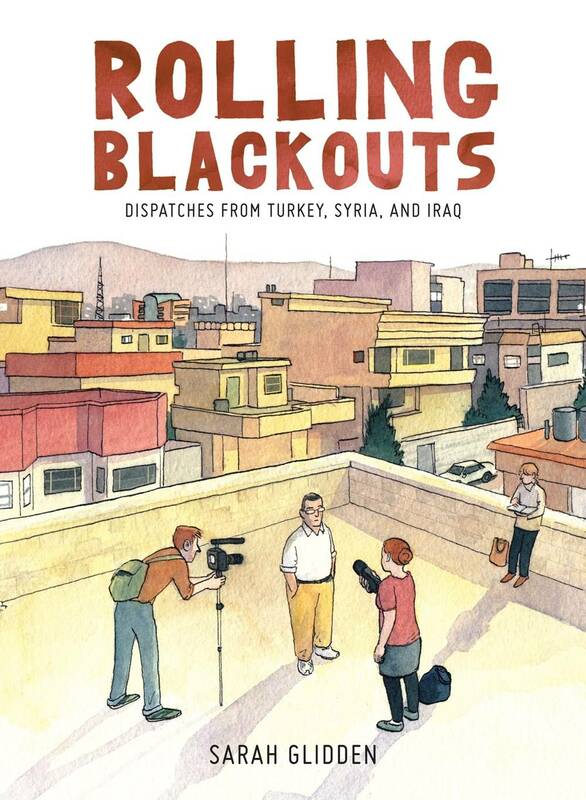 In 2010, Glidden decided to tag along on a trip with two reporter friends through Turkey, Syria, and Iraq. She wasn’t sure what she wanted out of the experience, and begins this book by asking about the nature of journalism—who and what is it for? She continues asking deep, difficult questions throughout the course of the book. It’s gripping, and thought provoking—the art is simply gorgeous, and the publisher’s decision to use incredibly thick, high-quality matte paper for the pages only enhances the wonderful reading experience. All in all, I can’t recommend this book highly enough.